How to Find a Niche by Researching Your Topic. As soon as you’ve got a general idea of the area you want to operate your business in, you now need to drill down and find a niche within that field. Whilst there may be folks who will tell you that all you have to do to set up an online business is to just try and sell anything to anyone, in my opinion, that will be shortlived. That’s for those who are in for a quick buck. who your audience is and what’s their No. 1 concern. The best way to discover what difficulties people want to overcome is by looking at the search engines mainly Google, Yahoo and Bing. After all, these days, if there’s a problem, people search the internet and turn to search engines for solutions. Complete your list of all the possible topics. 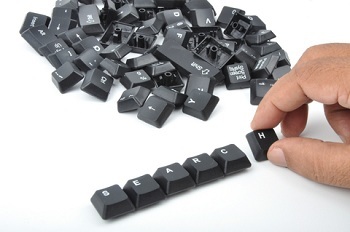 Search your potential keywords using one or a combination of tools available. Scrutinize the information you gather. Side note - If you are unsure about what a niche is or lacking niche ideas, go here first before proceeding. When you’re simply trying to get a general feel for how a particular keyword is being used by searchers, Google’s search box is often the best tool to start with. Suppose you want to find a niche in the area of recipes. 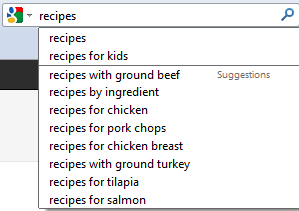 When I typed the keyword “Recipes” into the Google search box, results supplied were in the hundreds of millions. That niche is obviously too broad - there’s too much competition. That means that there are too many people supplying information about that subject. Sidenote - As a rule of thumb, your selected niche should be in line with your available time – the less time you have, the less competition there should be. You’ll notice that, when you start typing your keyword, Google gives you some drop-down suggestions. It’s trying to guess what you’re keying in and giving ideas matching the word you’re typing - as you can see in the image below. These results – the ones you type in and the ones that Google suggests – are usually three or four in length. These are “long tail” keywords. Jot down those that interest you. Sidenote - You can explore further by clicking on the suggestions and seeing the outcome. In our case “Recipes for kids” offers “Recipes for Kids snacks” as an idea. Those searchers who are pro-actively surfing the net looking for an answer to their challenge - by typing in that particular phrase - will find you as their Problem Solver. Google Keyword Planner. This tool helps you find keyword ideas, get performance estimates etc. Click on the link above, then on Keyword Planner, found in the first sentence and log into an Adwords account to get started. Quantcast. This tool lets you do a variety of different types of research. You can study various niche websites to see what kinds of people visit them, and understand interests and habits of your target market. NicheBotclassic.com. Like the other tools listed above, this tool is free. Unlike the others, there is also a paid option that gives you more robust access. The tools at this site let you more narrowly define what keywords you want to use, based on traffic and search engine rankings. Compete.com. This is a paid service with a free trial option. This site looks at your website (or a competitor’s site if you wish) to tell you what keywords it’s scoring for, and how much traffic it’s getting for those keywords. Wordtracker.com. WordTracker includes a keyword tool, link builder, and a keyword strategizer. Like Compete.com, it has a free trial but is a paid service if you want to use it over the long term. SpyFu.com. This is another paid service with free trail. It will give you data on search volume, what websites are spending to advertise for a given keyword, and even look at what keywords competitors are ranking for. KeywordSpy.com. Keyword Spy lets you look at competitor keywords, but it also helps you to create your own targeted keyword campaign. These tools can be very beneficial in helping you find a niche. Take your time to go through the data you obtain. Make sure there is a market in your niche – that there are people interested in your topic and in the goods and services you intend to promote. Plus, get to understand how your competition approaches things and figure out a way to do it better. Having said that, don’t rely solely on figures. Consider also your gut feeling.